The Christian Centre for Justice, Peace and Nonviolent Action (Justapaz) seeks to embody and serve non-violence through programmes working towards transforming Colombia into a just and peaceful state. Since its establishment in 1990, Justapaz has worked to promote non-violence, peacebuilding and the positive transformation of conflict. It has developed a broad range of initiatives in training, organisation and action for conflict transformation at local, regional, national, and international levels. Its organisational arrangement actively promotes the formation of a non-hierarchical organisation and the deep involvement of Colombia’s affected communities in the way the organisation is run. 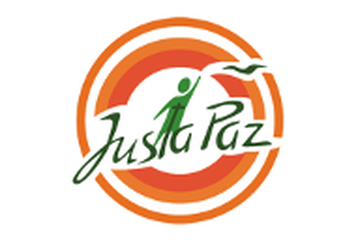 Justapaz, which means ‘a just peace’, was created by the Colombian Mennonite Church in response to violence and injustice across Colombia. It was, and continues to be, a necessary religious response from the Mennonites, as the Church itself is based on values established during sixteenth-century peaceful and egalitarian social movements. Remaining true to its non-violent and organisational objectives, Justapaz focuses on the practical training of like-minded churches, communities and individuals in the practice of non-violence. It seeks to enable the creation of structures and ways of life that it believes can ultimately lead to real peace in Colombia. Justapaz carries out training programmes and workshops to combat the normalisation of violence in society. It seeks to enable the peaceful mediation of conflicts existing in communities, demonstrate what psychological support can be given to victims, and facilitate the processing of legal cases. Justapaz also values the protection of human rights and political advocacy as a fundamental element in the advancement of peace in Colombia. This combination of training, human rights and political advocacy comes together in Justapaz’s annual report, A Prophetic Call. The report – which presents contextual analysis, detailed cases of political violence, and offers political recommendations – is largely the work of those groups and individuals who have been through Justapaz's training programmes. The report is used for advocacy at a national and international level. Collaboration with churches and organisations.